What Metal To Scrap & What Should You Recycle? What Metal Should You Scrap, What Shouldn’t You Scrap and What Should You Recycle? Recycling your milk bottles and empty coffee jars comes without question; we are so used to dragging our recycling bins out on a weekly basis. But one part of the recycling industry that can get forgotten about is metal. This can include anything from miscellaneous, used wires to standard brass or iron. Without realising, you could end up throwing away metals that are better off being recycled. Worse still, you could be inadvertently disposing of valuable metal which is worth some money. While it may seem like the easy option to just bin your unwanted metal, by recycling it you could not only make yourself some money but also do your bit for the economy and environment. Your metal could be recycled and remade into something else. For example, your old car could become a brand spanking new one! To begin with, before bringing anything to be recycled or scrapped, you should decipher whether your metal is ferrous or non-ferrous as these have different scrap values. The easiest and most common way to figure this out is by using a magnet: if the magnet sticks to your item, you have a ferrous metal on your hands. If not, it is non-ferrous. Ferrous metals aren’t as valuable for various reasons. Firstly, they are susceptible to corrosion and are not always salvageable. Not all ferrous materials are at risk however. A key factor is which elements it has been mixed with; a ferrous alloy is typically more resistant to rust than a carbon steel, for example. In comparison, non-ferrous metals are extremely durable and do not degrade over time. The main reason why non-ferrous materials have a greater scrap value is because they are more in demand: ferrous metals are so readily available that they don’t command as high a price – whether in their virgin state or as scrap. Both metals can be processed and recycled in the same way after being separated by powerful magnets. Certain metals may be sorted further and shredded or sheared too. The use of additional magnets will also separate any smaller pieces of ferrous from non-ferrous material. What Metal Can You Recycle? While almost all metals are recyclable, some are not always worth trying to get money from. Ferrous metal, such as steel or iron for example, which is usually found in more common items, is unlikely to have a lot of value. 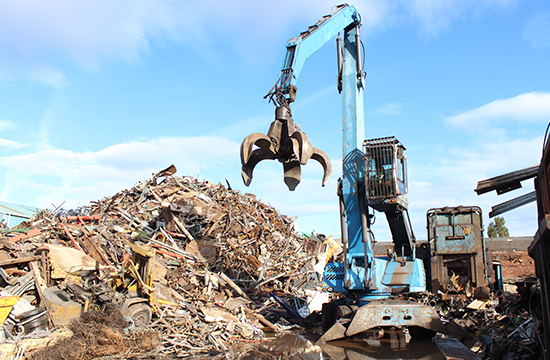 Whilst the type of metal you have makes a difference to the amount of money you might get for it, this doesn’t mean you can’t take ferrous metals to a scrap yard. In fact, they will take it off your hands and make sure it is recycled in the appropriate way. This is the more sensible and economical option to take rather than to simply throw it away. Metals are one of the easiest materials to recycle and one advantage is that most of it can be recycled again and again without changing its properties. By recycling whenever possible you can not only help to protect the environment, but you can help towards reducing energy consumption and diverting waste from landfills. What’s Better for Scrap: Ferrous or Non-ferrous? Although some metals aren’t worth anything at all, you can still make a difference by taking the time and effort to take it to a scrapyard. For example, aluminium may not be worth anything, but a standard piece of aluminium can be recycled and reused, saving 80% of the energy used to produce the original item. This is where your household council recycling boxes come in handy – did you know that if all the cans in the UK were recycled, we would need 14 million fewer bins? We throw away £36,000,000 worth of aluminium every year, however, 51,000 tonnes annually (out of the 24 million tonnes produced) ends up being recycled back into packaging. The best metals to consider recycling are brass, copper and aluminium, although a scrap yard will recycle any metal in the correct way, saving you time and being economically friendlier. Many people are unaware that many metals have some value and can earn you some return. While the prices of ferrous and non-ferrous metals for scrapping and recycling do fluctuate, you can use average price guides to see a good indication of the market value. Metal prices do differ and once you have your materials separated, it may be your next step to get in touch with your nearest scrap yard for more information. Some of the most valuable non-ferrous metals to take to your local metal recycler include Copper, Brass and Silver. 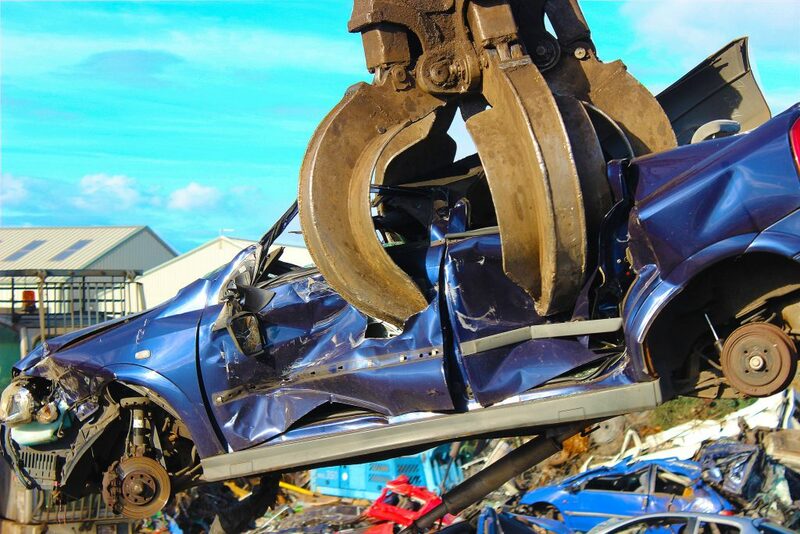 Vehicle recycling is also a popular form of metal recycling as around 80% of a car can be recycled. Your old vehicle will most likely contain plenty of non-ferrous metals such as steel! Don’t forget to also recycle your ferrous metals. You may still get a small financial return on these, as well as helping the environment and the economy. 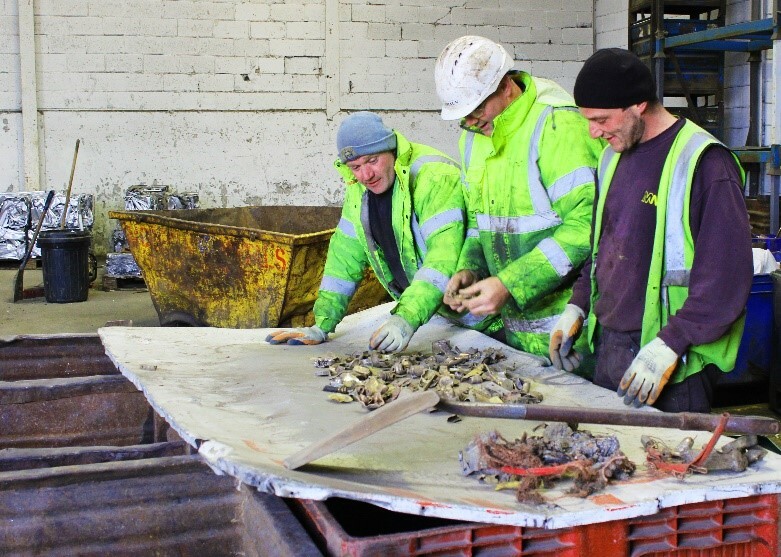 At Morecambe Metals, we are the experts in processing and recycling all metals, whether ferrous or non-ferrous. If you would like to know more about our services, please don’t hesitate to get in touch by simply giving us a call on 01524 69191 and our team will be happy to answer any questions you may have. Previous PostPrevious Why Should You Recycle Your Scrap Metal?